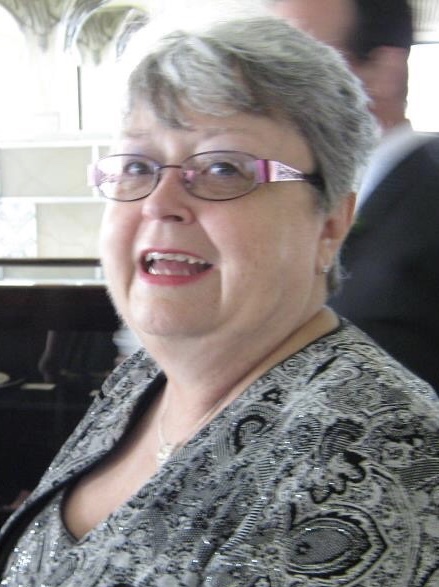 Vicky Lynn (Somerlot) Hardie, 67 of Marion, died Thursday morning November 15, 2018 at the Marion General Hospital. She was born May 25, 1951 in Richwood to the late Paul Frederick and Mary (Holcomb) Somerlot, she was also preceded in death by her brother: Gene Somerlot. Vicky proudly received her paralegal degree. She then has been employed as a Senior Workers Comp Claims Examiner, working last for the Broadspire Company in Worthington. She began her working career with the former Marion Power Shovel. Vicky a.k.a. Grandma Butterfly loved her family, her husband, children, and grandchildren. She never met a stranger who wasn’t an immediate friend, meaning her family was huge. She loved shopping, traveling, exploring, and the Pittsburgh Steelers. You never lost her, just wait a minute and you’ll follow the sound of her laughter to her side. She also was an active member with her church, The Faith Bible Fellowship in Marion and the Prospect American Legion. Funeral services will be held Tuesday November 20, 2018 at 11:00 am at the Stofcheck-Ballinger Funeral Home in Prospect, Pastor Brad Burrell will officiate, burial will follow in the Prospect Cemetery, Friends may call Monday from 4-7 pm at the funeral home in Prospect.